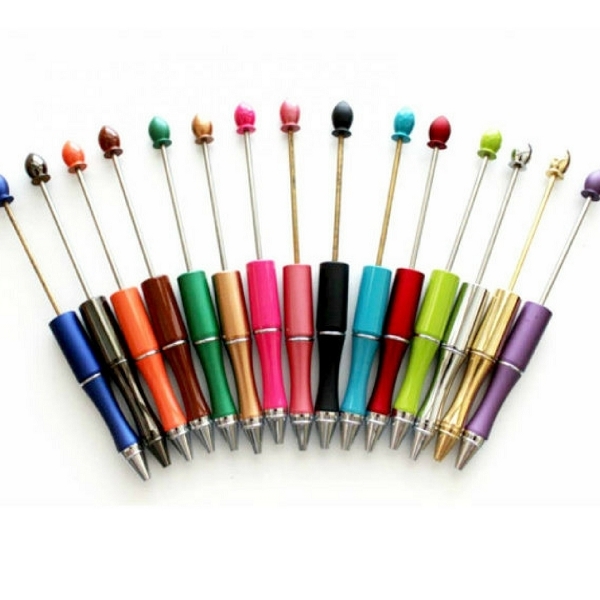 Choose from a variety of colors of well-crafted metal bead pens. Pouches and ink refills are sold separately. The rod size is 2.5mm. All our beads will fit all our products (Except beadkits that start with FBEADKIT. These will only fit the Featherlite pens. Silver, Light Pink, Hot Pink, Turquoise, White and Yellow.